Insider Perspectives: UL's Nate Brown on Implementing a Vision — Toister Performance Solutions, Inc.
A customer service vision is essential to customer focus. If you've not heard this term before, a customer service vision is a shared definition of outstanding customer service that points everyone in the same direction. You can read this backgrounder for more information. Implementing a customer service vision can be tricky. Employees may struggle to relate to it, remember it, or incorporate it into their daily activities. Leaders don't always realize the thoughtfulness that goes into creating a great vision or the effort and commitment required to make it stick. Nate Brown is facing this challenge head-on, and is making great progress. He's the Director of Customer Experience at UL EHS Sustainability, a company that provides software to help organizations manage environmental health and safety in the workplace. 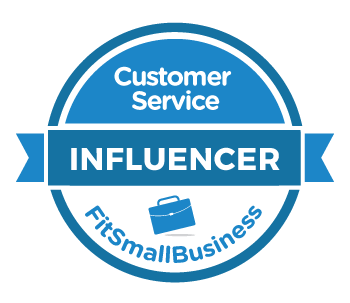 Brown also writes the excellent Customer Centric Support blog and is one of ICMI's Top 50 Thought Leaders to Follow on Twitter. Brown shared some of his insights and lessons-learned with me. Q: Why did you decide to create a customer service vision for your team? "I attended your workshop on getting agents obsessed with service at ICMI's Contact Center Expo conference in Long Beach last May (2016). You talked about the importance of creating a customer service vision, and it sounded like exactly what we needed. "I had thought a lot about making my team's day-to-day work in the contact center relevant to the company's mission. UL EHS Sustainability is a division of the safety science company UL. The mission statement is Working for a safer world, which makes sense because we're a global safety science company that provides a wide range of services such as consumer product testing and helping manufacturers build safer products. "UL EHS Sustainability provides software to help employers create healthier, safer and more sustainable workplaces and my team provides technical support, so my team was initially focused on the technical aspect of their jobs. We needed a way to connect our work to the mission." Q: What did you come up with? "Our customer service vision is Supporting our customers and each other in a manner that is effortless, accurate, and friendly. Q: How did you develop the customer service vision statement? "I initially thought about what I'm trying to drive through our quality management program. Those three words, effortless, accurate, and friendly described what we were already doing. So I took those concepts and put them together in one clear and concise statement. "For example, I'm a big fan of The Effortless Experience and we've been trying to implement concepts from the book in our contact center. "Once I developed an initial draft, I shared it with the managers on my leadership team to get their input. It really resonated with them, so we then rolled it out to the entire team on a conference call. "We talked through the vision and I asked everyone to tell me what they thought. I didn't get any pushback or suggested changes, which I think is because the customer service vision is grounded in what we were already doing." Q: What are you doing to integrate the vision into your employees' daily activities? "We now introduce it to all new hires and then include it in one-on-one coaching. We're trying to get people to see how they can put each part of the vision into practice. "For example, one part of the vision is effortless. In the past, an employee might answer a customer question by sending a knowledge base article. Now, that same employee might include the article in the email along with some commentary that customizes the solution to the customer's needs. We also are striving for ‘next issue avoidance’ which takes the resolution beyond the surface level issue and resolves that question the customer may not have known to ask. "Another word in our vision is accurate. We have a big initiative right now to upgrade our knowledge base so that it's fully up to date and easier for our employees to use. If we support the team with the right tools, we can make it easier for them to support their customers with accurate information. I’m starting to see more and more that a great indicator for the health of a support organization is their ability to collect, share and curate knowledge. "Our marketing department has just gone through a huge re-branding process and one of their guiding factors was trying to create an even more approachable brand, so this naturally ties into the friendly aspect of our vision. We're encouraging agents to develop rapport with their customers to help create a better experience." Q: What advice would you give to other leaders who are trying to implement a customer service vision? "The toughest lesson for me is to be more patient. Awhile ago, my boss challenged me to be more of a marathon view versus a sprint mentality. What he meant was that we all want to achieve immediate results, but it takes time for these initiatives to take hold. I've only been in this role for a year now and we've accomplished a lot during that time, but there's still a lot more left to do. "I've really been influenced by John Kotter's book, Leading Change. It explains that change is a process and you have to have checkpoints along the way to keep things moving. You also have to clarify the benefits of what we're trying to accomplish so everyone will get on board. "One of the things I'm doing now is creating our 2017 strategy. The customer service vision is the glue that provides consistency from one year to the next. It's wonderful for our contact center to have that ever-present north star." Q: You mentioned strategy. How has having a customer service vision helped you become more strategic? "Organizations generally don't look to the contact center to be strategic, but it's so important for customer service leaders to control their own destiny. 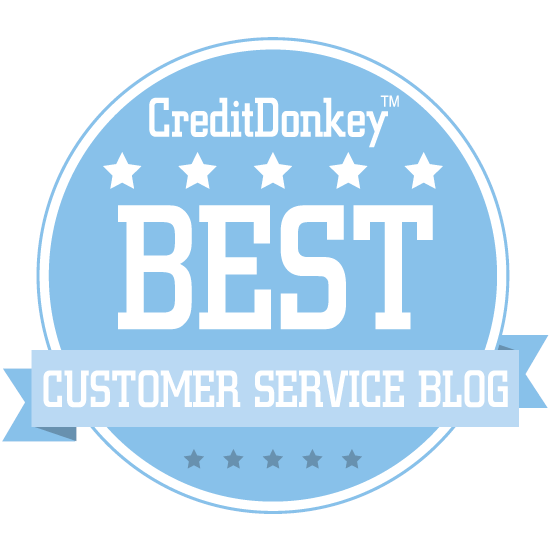 "Our customer service vision tells us we need to fight for both a better customer and agent experience. We're going to advance that vision in 2017 in a variety of ways, including a customer experience program that includes all functions of the business. "I can also show our executive leaders how we're aligning with our brand. The new corporate brand identity focuses on being a friendly brand that feels young, energized, and engaging. That's exactly the way we're supporting the customers who use our software. It’s going to be an awesome year!" Follow-up: After our interview, Nate wrote his own blog post describing the value a customer service vision has created for his team. It's a good read and highly recommended. Discussion Question: If you implemented a customer service vision (or are in the process of doing so) what lessons did you learn from the experience?